Art techniques and tips for painting, acrylic painting and airbrushing. My first Youtube vlog is live! OK, so I just published my first vlog on Youtube. It was terrifying to put my face and voice out there, but those who have read my last blog post will understand why. For traditional visual artists like me, the game is changing and I believe Youtube is the key to staying up to date. We 40 plussers are stuck in a rut of paying for services and art that our kids will never pay for. My daughter may be persuaded to pay a $10 or $15 per month fee for entertainment, music or books, but she will probably never see the value in paying roughly $200 per month for cable TV or buying one music album for the same price as a month subscription to Spotify. It’s time for a dinosaur like me to hop on the train, before it’s passed by completely. To me that train is Youtube. I hear all my contemporaries talk about their kids always being on Youtube. It’s often followed by “I don’t understand it, what’s the point in watching someone else play a game?”. The thing is that my teenager gets much more out of it than just watching Pewdiepie playing games. She gets news from a different perspective than we do. She often knows what’s happening in the world before we do and she has a refreshing point of view. I often wish I was as unbiased as she is. One big difference between Youtube and TV is that Youtube is interactive. You watch, comment, like and post your own stuff. So, I’ve made a conscious decision to do just that. And guess what? I’ve found some fantastic content to follow, from pure entertainment to great news channels. And now the moment has finally come for me to publish my own content. They always say your first Youtube video is the worst, so I figure it can only go up from here, as I get more comfortable talking to a camera and hearing my own voice and seeing my face. I’m ready for it. I feel like I’m in the caboose, but I’m heading towards the 2nd class wagon. Author artbybasPosted on November 26, 2017 November 26, 2017 Format VideoCategories Art Office, Art StudioTags art, blog, painting, social media, visual art, vlog, youtubeLeave a comment on My first Youtube vlog is live! I get unusual requests sometimes for airbrush work. I received an email with the question if I could paint hair back on a baby doll. It turns out that this was an American Girl baby doll, the kind that doesn’t have real hair, but hair painted on. Somehow it got scratched or white paint streaks on it, unclear, but easily airbrushable and it actually looks like those dolls’ hair gets airbrushed on by American Girl Doll anyway. This is one of those cases where I have no idea how much to charge, because it’s a small, unusual job. As a father of a girl, I know how much a doll or a stuffed animal can mean, so I’m more than happy to do it. When something like that happens I just let the customer offer what she’s willing to pay. So, I met with mom, got the doll, took it to my studio. Masked off what needed to be protected from paint, put a little paper towel barber’s cape on her and went to work. After I was done, I was about to shut off my compressor and walk out, but looked over and there’s the doll, looking at me. I know that this is this little girl’s favorite doll and that she’s trusting me with it, even though she has to spend tonight without sleeping with her doll. I couldn’t leave it in my messy, paint stained studio, that gets f-ing cold at night. So, I picked her up and placed her among other toys on the shelf in my daughter’s room. Tomorrow she will get a matte clear coat, so the masking tape needs to stay on overnight. Then she can go back to her little girl mommy. There’s no better reward in life than making a little girl happy. One of the most common questions of fellow airbrush artists and those wanting to get into airbrushing is what airbrush equipment I use. In a way interesting, because I spend very little time thinking about my tools of the trade. They need to be of good enough quality to do the job, but once I have that, I don’t spend much time looking at the newest or latest & greatest equipment. Also, any new airbrush is an expense I should justify to myself and my company, so I don’t really bother until something breaks. Let’s start with the airbrush I use. My work horse is the Iwata Eclipse CS. This is a fairly simple airbrush, easy to clean, use and not too many parts, so it can be maintained well. I also have an Iwata Custom Micron, which is a much higher end airbrush with a much smaller nozzle (thinner lines), but I find it requires a lot of maintenance, with a lot of tiny parts and as a result I don’t tend to use it. Speaking of tiny parts: buy spare parts and keep them ready at all times. When you drop a part, you may either not find it, or it’s damaged. I have a Paasche airbrush that I just can’t get used to, so I also never use that one. I like gravity fed airbrushes (with the little cup on top), because I never have problems with getting paint out of a bottle and I can reduce the paint on the fly, so I can work with thinner paint and lower air pressure for detail work, or unreduced paint at high pressure for larger areas that need good cover. I also mix paints in the little cup sometimes for fine art work. However, I can see that if you work in an environment where you need to change colors often and fast (like a t-shirt shop), having several siphon fed airbrushes on the go would work better. When I’m not using it, my airbrush sits in a glass of a mix of water and brush cleaner or Windex. That way it doesn’t dry out and I don’t have to clean it as often. My compressor is a Harbor Freight 21 gallon, 125 PSI. It is not oil free. For any paint spraying it’s advisable to use a larger tank compressor, because you keep the air pressure on much longer than for instance when using a nail gun, so you deplete the tank relatively fast. With a small compressor it ends up running all the time to keep up. My experience is that they then burn out. This sucker is large, so it lives in my garage and I have a hose running from it to my studio. That way I don’t have to listen to it when it kicks in, because most compressors are loud (except the really expensive ones they sell for airbrushing). In the past I used a Porter-Cable 6 gallon pancake compressor, which held out for a really long time too. I use 3 main brands of paint. All of them are acrylic, water based. They are Createx Auto Air and Wicked airbrush paints and Golden Liquids. I reduce them usually with a few drops of Createx airbrush reducer. For work on objects I tend to use mostly the Createx products and the Golden Liquid I use more for fine art projects. However, the Golden color range spans the full artist color spectrum and the paint quality is high, so sometimes I also use them for airbrushing on objects. For switching colors and quick airbrush cleaning I use Windex. You can dilute that if you want to make the bottle last longer. If I have a big hardened paint clog in the airbrush, I use acetone to get rid of it. I learned to airbrush with House of Kolor automotive paint. A great paint to spray, but I couldn’t stand working with solvents. 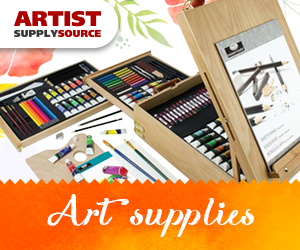 I also found that for organic and earth colors, they don’t have the color range (say if you wanted to paint an animal or a landscape). It’s designed for automotive use, not really for fine art, so if you’re looking for different umbers, ochre and a Van Dyke brown it’s not your paint. Every airbrush artist works differently. 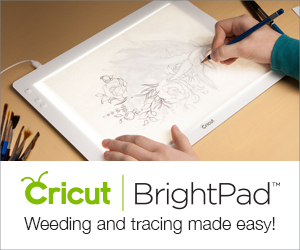 Some freehand everything, others meticulously create overlapping stencils. If you want to see different ways to do things, I recommend reading Airbrush Action magazine and Youtube. I tend to work with the airbrush the way I paint. I’m not a huge fan of stencil work, prefer freehand painting and like to detail out with traditional small brushes. I use masks to create hard line when I need them and even with those I basically only use the ones you see in this picture. I don’t buy them, but cut those out using a Silhouette cutter you can purchase at Michaels. The masking tape you see is a low tack 3M 2080 masking tape from Home Depot. I also sometimes use yellow automotive masking tape, but this is what I use to mask over a painted area, to avoid ripping the paint off. Sometimes I spray a matte Krylon layer as an intra coat clear over the painted area, before applying masking tape. I’ve trained myself to use a respirator all the time. You get used to it and after a while forget you’re wearing it. You don’t want paint or Windex to enter your lungs. The last thing is the Ikea Lazy Susan you see under it. For $10 the SNUDDA makes your life so much easier, so you can paint any smaller object from all sides without having to move it. As you can see from this picture of my studio, there’s a lot more crap in here that I haven’t discussed, but if you distill it down to the core. The stuff above is what I really use all the time. Do you airbrush? What is your go-to equipment? Author artbybasPosted on October 8, 2017 October 9, 2017 Categories Art StudioTags airbrush, airbrushing, art studio, eclipse, equipment, iwataLeave a comment on Airbrush equipment I use. The personal stories behind the painted goalie mask. 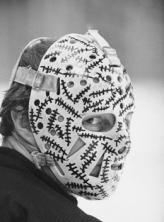 Goalie mask painting goes back to Gary Cheevers in the 1970s, who had his trainer paint stitches on his fiberglass mask whenever a puck or stick struck him in the face. Why paint a goalie mask? Although a goalie is part of a team, it is also very much an individual position. No matter how much the game is a team effort, as a goalie you still feel very much that it’s you against the opposition team. At least that’s how I often feel. You measure yourself against their strongest forward. So it comes as no surprise that a way to express that individuality is to paint your goalie mask. For some it’s a way to intimidate the opponents, but mostly it tells you something about the goalie. That personalization is what makes airbrushing these masks fun for the artist, just like a tattoo artist learns something about his clients. It gives the art purpose and meaning, both for the owner of the mask and the artist. For instance, the EMT/firefighter who wanted a mask engulfed in flames with the EMT logo on one side and a firefighter on the other, the goalie with Egyptian heritage who wanted King Tut’s mask, the Red wings fan in Colorado, who wanted a yeti holding every Stanley Cup the Red Wings won and the retired jersey numbers (and there’s a lot). And then there are always the initials of children and loved ones, often on the back plate. An inspirational quotation to remember a friend who passed away. But even if there isn’t a deeper meaning, the mask is always different and cool, like the Finding Nemo mask I just did. The obvious choice would have been to do the shark Bruce, (Fish are friends, not food) with a big open mouth, but instead, being a goalie he went for the less obvious, but so much more creepy Angler fish, with the big teeth. Stories of the goalie mask painting. Every mask tells a story. The latest one will be for a youth hockey player who was born in Vietnam. That one will have the Thai (Hindu) monkey God Hanuman on the front. I’m very excited about that, because I’m very familiar with that kind of image, having Indonesian ancestry from my mother’s side and having seen similar masks and Wayang puppets in Indonesian restaurants in Holland as I grew up. I love the idea of taking an indigenous mask as inspiration for a goalie mask. I still have to paint my own mask. Now I’m thinking Ethiopian tribal mask in honor of the birth family of my adopted son. I’ll post pictures as the mask progresses. I’m first finishing a modification on another goalie mask though…. View the goalie masks I’ve painted in here. 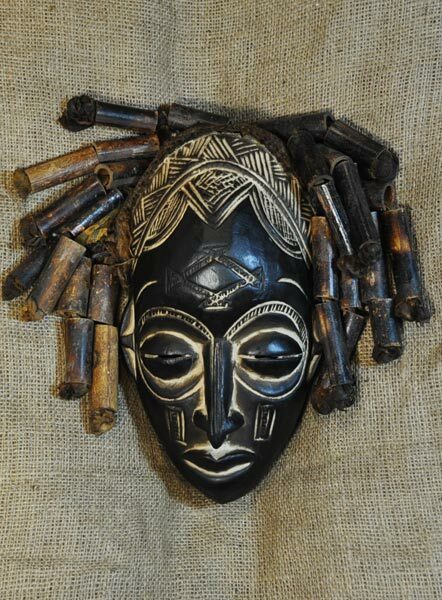 Addendum: Below my new goalie mask based on an African tribal mask. Author artbybasPosted on June 20, 2016 October 9, 2017 Categories Art StudioTags airbrush, art, goalie mask, helmet, ice hockeyLeave a comment on The personal stories behind the painted goalie mask. I was asked to illustrate the book cover for fantasy novelist Nathan Wilcox. If you enjoy fantasy novels I highly recommend his books. Below you will find a synopsis. The False Martyr is part two of a series, so be sure to first read part 1: From Across the Clouded Range. Continuing the epic tale that started with From Across the Clouded Range, The False Martyr is the story of a world thrown into turmoil by an invasion from across a seemingly impassible range of mountains and the conflict between chaos and order that ensues. • And Cary, a courier who travels to the forbidden land of the Morgs as part of a delegation seeking their aid in the coming battle. After narrowly surviving the battle outside of Thoren, Teth wakes alone in the compound of the cultish Weavers. Struggling with the emotional aftermath of the battle, she searches for Dasen but finds him only after she has learned a terrible truth that changes the course of her life. Escaping again from the creatures that are hunting them, Dasen and Teth arrive in a city under the grip of martial law. The most wanted man and woman in the world, they are soon embroiled in a rebellion where nothing is what it seems. Devastated by the Weavers’ revelations, driven from Dasen, Teth hatches a final desperate plan to free Dasen and give herself peace. Forced to rule the Unified Kingdoms after its surrender, Ipid must balance his desire to secure a future for his country with the need to deliver the invaders’ ruinous terms. But the biggest threat to his country and himself may be his growing and mutating relationship with Eia, who has become his advisor, confidant, and lover. On the other side of the continent, Lius, a young monk, receives an extraordinary book, learns that he can control the Order, and watches as the head of the Church is brutally murdered. Pursued by creatures from a nightmare, trying to understand his newfound powers, he joins Jaret Rammeriz in a frantic struggle to build a rebellion. But with the Emperor’s armies in constant pursuit, only the most harrowing sacrifices will allow them to continue the fight. Finally, in the far north, Cary finds himself at the center of a complex plot that threatens to upend the very basis of Morg society. But when he meets Noe, the beautiful, but horribly scarred and abused, Mother of Eselhelt Lodge, he must overcome his own memories and emotions to save Noe, his country, and himself. And underlying it all are the machinations of the Weavers, who have spent centuries manipulating the very Order of the world to prepare for the Exiles’ return. Caught between the invaders’ brutality, the Exiles’ chaotic powers, and the Weavers’ merciless manipulations, our heroes must fight for their survival, sanity, and each other if they are to uncover the truth about what is happening to their world. February 8th 2016 is Chinese New Year and the year of the Monkey. Bagsbuzz is a Hong Kong based company that manufactures garment bags and reusable shopping bags in China for customers in Europe and North America. With many European countries and some U.S. states getting rid of plastic shopping bags, paper bags may seem like an environmentally friendly alternative, but not only are they not strong, they don’t tend to get used more than the way home, so even if they get recycled, they rarely get reused. Bagsbuzz’ reusable non-woven shopping bags are the solution. They make many models, customized with logos and other features. They also specialize in garment bags, the type you get with the purchase of a suit or a bridal dress. Bagsbuzz was looking for something to send to their clients for Chinese New Year in a mailing. They figured it had to have a monkey in it and their logo and they wanted it to be hand illustrated. I first looked up if Hong Kong had any indigenous monkeys and they do: The Long-Tailed Macaque and the Rhesus Macaque. Being an animal portrait artist I first drew a macaque, cartoonized it (is that a word?) and then realized there was no fun way to integrate that with the logo, however, I noticed in my research that monkeys like to hang from stuff and looking at the lettering in the logo…there was plenty to hang from. I also let go of the idea that it had to be a Macaque. We recognize a monkey when we see it, the big ears, the face, the longer arms, feet like hands. So I drew my own monkey swinging from the logo…. I was excited they picked the first design (I liked that one best too). However, this is an example of the way any company can use my design and illustration skills. Throw an idea at me and let me struggle with it. Give me a couple of days and suddenly you’ll have something fun in your mailbox, ready to share with your clients! One of the first commissioned airbrush paintings I did has an interesting spiritual story behind it. I was approached by a man who asked me if I would be able to paint a vision for him, but it wasn’t his own vision. This was the vision of his close friend and co-worker. They both worked for a gas company filling up the tanks under gas stations. One fateful day something went catastrophically wrong causing a fireball to set his friend and co-worker on fire. My client’s years of military training prior to this job allowed him to react instantly and save his friend. His co-worker was rushed to the hospital and at some point his heart stopped. Eventually the medical staff got it going again. After coming back from being clinically dead he was able to describe the experience to his co-worker, who asked me to translate the image into a painting. He described the experience to be like he was floating above God’s hands. God gently blew at him, which turned him to ashes, sending him into the sky, before he came back to life. I’m not a spiritual person, but I’m also not ignorant. I have no doubt that he had a real experience and who are we to doubt this unfortunate man? This portrait of my father hangs in the second company he started (technically the third I believe). It’s a portrait of how I remember him: an incredibly intelligent entrepreneur and self-taught engineer who enjoyed inventing and designing as much as business. I really believe that he enjoyed running a business for the joy of working. Money was just a reward for doing well, but not at all the main motivator. He didn’t care about brands or status or fancy dinners (favorite food: white bread with aged cheese) and only started spending some money on luxury items later in life, when he was certain he could afford it, but I’m still not sure if that was actually his personal choice or peer pressure. But what he really loved was product development. He would sit in the evening in a comfortable chair and scribble designs on notepads, using a ball point pen and highlighters to indicate what was important. Next to him he’d have a small glass of Dutch gin or licorice liqueur and his ‘Caballero’ brand unfiltered cigarette, which ultimately killed him. He would hand these designs to the AutoCAD engineer who had worked with him since almost the beginning of his first company and therefore was able to translate them into manufacturing designs. I did decide to keep the cigarette in the painting even if smoking killed him, because that is how we all knew him throughout his life, until he got diagnosed with lung cancer. This was possibly the hardest painting I’ve done, because I had set high standards for myself and I had never studied and scrutinized his face the way you do for a painting. The drawings in the background are part of his actual design drawings for the Order Release Module, a warehouse system that automatically ejects cases of all sizes and shapes and packaging types to automate the case picking that happens manually in most distribution centers and requires heavy lifting in long shifts, causing high employee turnover. My dad used to make oil paintings when he was a young man, but stopped doing that and put his creativity in product development and his businesses; a racking company called Nedcon and later Dynamic Logistic Systems that still sells the Order Release Module he developed.